Get closer to the beauty and power of sharks with award-winning National Geographic photographer Brian Skerry as he illustrates their remarkable evolutionary adaptations and their huge importance to marine ecosystems around the world. For decades, acclaimed underwater photographer Brian Skerry has braved ocean depths and the jaws of predatory giants to capture the most remarkable photographs of sharks around the world. In this collection of the best of those pictures, Skerry draws on his growing personal respect for these animals to share intimate stories of their impact. Focusing on four key species—great white, whitetip, tiger, and mako sharks—Skerry’s photographs span from his early work, photographing them from cages, to his recent unencumbered scuba dives. 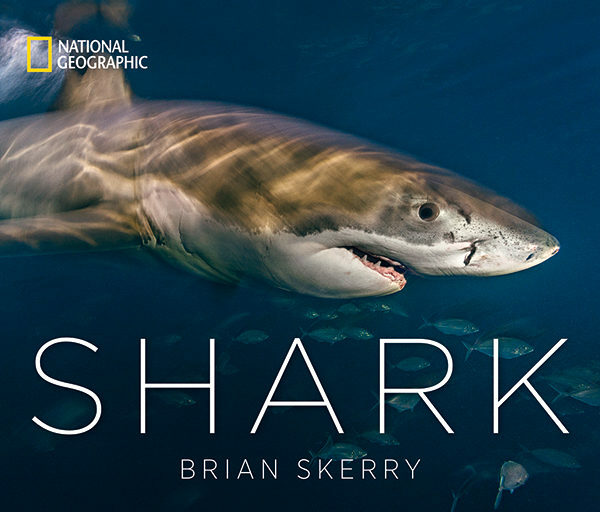 With additional text by top National Geographic writers, Skerry’s images and stories encourage a change in attitude toward these top predators, ultimately showing how they are the keys to the healthy balance of nature underwater.